I can’t seem to get enough pumpkin. Between pumpkin lattes, pumpkin pie, pumpkin soup… it’s great in everything! 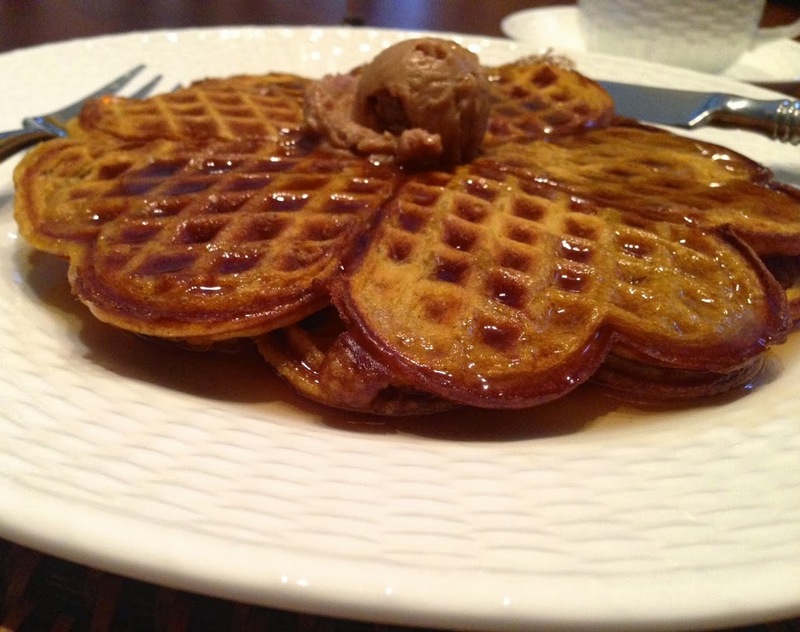 For breakfast this weekend try this recipe for Pumpkin Spice Waffles with Cinnamon Honey Butter. These warm and fluffy waffles are topped with spiced butter and warm maple syrup and make the perfect weekend breakfast. Not to mention they will make your house smell great! The only type of “iron” I want to use this weekend makes waffles!! For Cinnamon Honey Butter: Mix 6 tablespoons of room temperature butter, cinnamon and honey into a bowl and mix with an electric mixer until combined. Set aside. 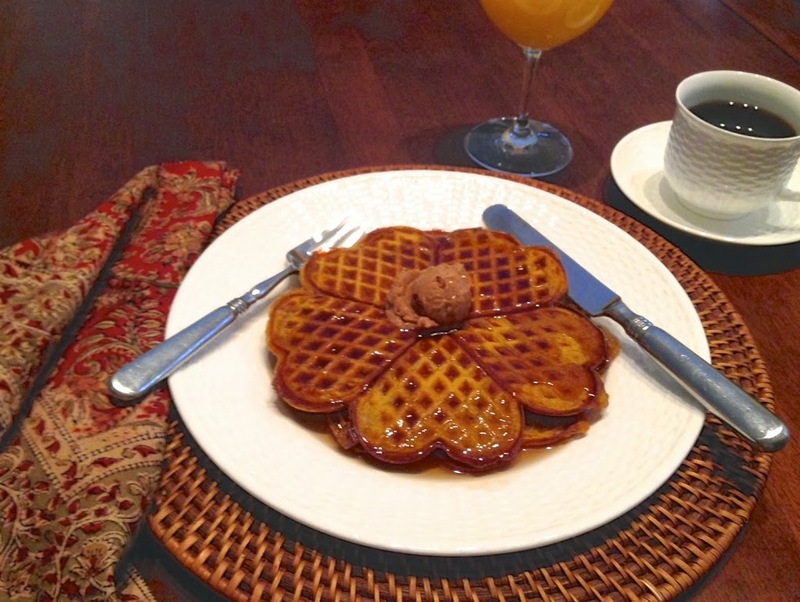 For Pumpkin Spice Waffles: Mix together flour, baking powder, baking soda, cinnamon, nutmeg, ginger, and salt in large bowl. Cook according to your waffle iron directions. Waffles should come out golden brown. Makes approximately 8 waffles. 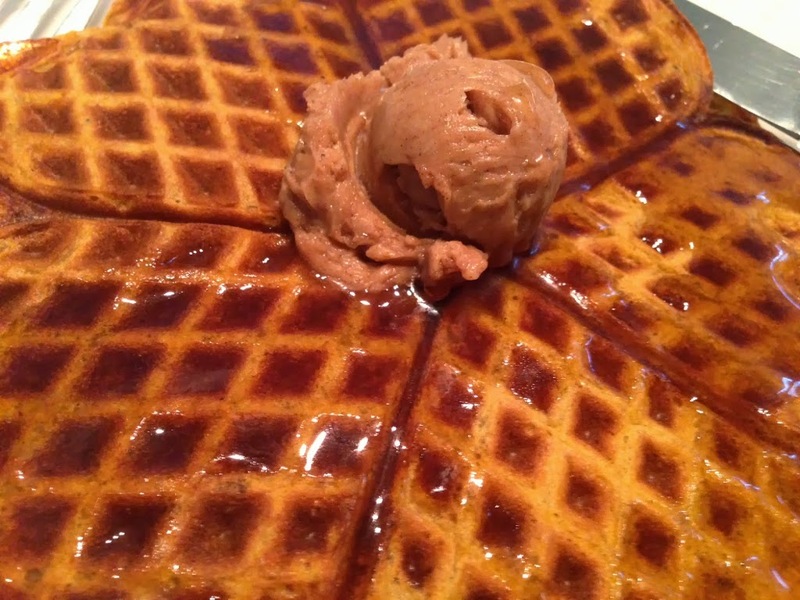 Top with warm maple syrup and Cinnamon Honey Butter.